NATO (the North Atlantic Treaty Organization) maintains foreign relations with many non-member countries across the globe. NATO runs a number of programs which provide a framework for the partnerships between itself and these non-member nations, typically based on that country's location. These include the Euro-Atlantic Partnership Council and the Partnership for Peace. 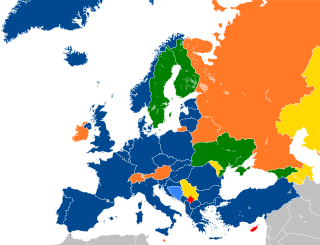 Five EU member states, all who have declared their non-alignment with military alliances, are not NATO members: Austria, Finland, Ireland, Malta, and Sweden. Switzerland, which is surrounded by the EU, has also maintained their neutrality by staying out of the bloc. All these countries, however, have joined the Partnership for Peace programme and at least Sweden and Finland signed a specific host country support agreement with NATO in 2014. NATO has also diplomatic relations with the 5 european microstates: Andorra, Liechtenstein, Monaco, San Marino and Vatican City. Armenia has maintained positive relations with NATO members and has signed up for the Partnership for Peace programme, the Euro-Atlantic Partnership Council and the Individual Partnership Action Plan. However, Armenia is unlikely to join NATO as its policies often align it closer with Russia, and it remains a member of the Commonwealth of Independent States and the Collective Security Treaty Organization. Armenia pulled out of its participation in NATO military exercises in Georgia on 8 May 2009, because of NATO's Secretary-General's alleged support of Azerbaijan, possibly making it even less likely that Armenia will eventually join NATO. According to a NATO diplomatic source in August 2009 some key officials at NATO headquarters in Brussels were pushing hard for engaging Azerbaijan on the membership question. "Turkey, Romania, Italy, Poland, the United Kingdom and the Baltic states" are among the members backing a fast track for Azerbaijan's NATO membership. While President Ilham Aliyev has generally supported non-belligerency (though not neutrality due to the unresolved conflict with Armenia over Nagorno-Karabakh) since his rise to power in 2003, Azerbaijan has hosted NATO military exercises and high-profile meetings in 2009. The unresolved conflict over Nagorno-Karabakh would present a major roadblock to membership. Azerbaijan made its policy of not being aligned with a geopolitical/military structure official when it became a full member of the Non-Aligned Movement in 2011. Cyprus is the only EU member state that is neither a NATO member state nor a member of the PfP program. The Parliament of Cyprus voted in February 2011 to apply for membership in the program, but President Demetris Christofias vetoed the decision as it would hamper his attempts to negotiate an end to the Cyprus dispute and demilitarize the island. Turkey, a full member of NATO, is likely to veto any attempt by Cyprus to engage with NATO until the dispute is resolved. The winner of Cyprus' presidential election in February 2013, Nicos Anastasiades, has stated that he intends to apply for membership in the PfP program soon after taking over. Finland participates in nearly all sub-areas of the Partnership for Peace programme, and has provided peacekeeping forces to both the Afghanistan and Kosovo missions. However, a 2005 poll indicated that the public was strongly against NATO membership. The possibility of Finland's membership in NATO was one of the most important issues debated in relation to the Finnish presidential election of 2006. The main opposition candidate in the 2006 election, Sauli Niinistö of the National Coalition Party, supported Finland joining a "more European" NATO. Fellow right-winger Henrik Lax of the Swedish People's Party likewise supported the concept. On the other side, president Tarja Halonen of the Social Democratic Party opposed changing the status quo, as did most other candidates in the election. Her victory and re-election to the post of president has currently put the issue of a NATO membership for Finland on hold for at least the duration of her term. Finland could however change its official position on NATO membership after the new EU treaty clarifies if there will be any new EU-level defence deal, but in the meantime Finnish Defence Forces are making technical preparations for membership, stating that it would increase Finland's security. Currently no political party explicitly supports NATO membership. Other political figures of Finland who have weighed in with opinions include former President of Finland Martti Ahtisaari who has argued that Finland should join all the organizations supported by other Western democracies in order "to shrug off once and for all the burden of Finlandization". Another ex-president, Mauno Koivisto, opposes the idea, arguing that NATO membership would ruin Finland's relations with Russia. Finland has received some very critical feedback from Russia for even considering the possibility of joining NATO, with a 2009 study suggesting this could have repercussions for Russia's relations with the EU and NATO as a whole. In October 2009, Finnish Prime Minister Matti Vanhanen reiterated that Finland had no plans to join NATO, and stated that the main lesson of the 2008 South Ossetia war was the need for closer ties to Russia. In September 2014, Finland signed an agreement with NATO that allows NATO and Finland to hold joint exercises on Finnish soil and permits assistance from NATO members in situations such as "disasters, disruptions, and threats to security." As such, Finland (and Sweden) participated in the 2015 NATO-led Arctic Challenge Exercise. Ireland has been a member of NATO's Partnership for Peace (PfP) programme since 1999, and is a member of the alliance's Euro-Atlantic Partnership Council (EAPC), but has never officially applied to join as a full NATO member due to its traditional policy of military neutrality. Ireland participates in the PfP Planning and Review Process (PARP), which aims to increase the interoperability of the Irish military, the Defence Forces, with other NATO member states and bring them into line with accepted international standards so as to successfully deploy with other professional military forces on peacekeeping operations overseas. Irish government policy for the deployment of troops to NATO-led missions requires that the missions be mandated by the United Nations (UN Security Council resolution or UN General Assembly resolution), cabinet-backed and approved by Dáil Éireann (the Irish parliament). This is known as Ireland's "triple lock". Ireland supplied a limited number of troops to the NATO-led International Security Assistance Force (ISAF) in Afghanistan (2001-2014) and supports the ongoing NATO-led Kosovo Force (KFOR), as these were sanctioned by UNSC resolutions. Public opinion in Ireland continues to favour a policy of neutrality in armed conflicts, and currently no major political party fully supports ascension into NATO. There has been, and continues to be, a number of politicians who support Ireland joining NATO, mainly within the centre-right Fine Gael party, but the majority of politicians still do not. It is widely understood that a referendum would have to be held before any changes could be made to neutrality or to joining NATO. Former Secretary General of NATO Anders Fogh Rasmussen said during a visit to the country in 2013 that the "door is open" for Ireland to join NATO at any time. Kosovo[a] submitted an application to join the PfP program in July 2012, though its lack of recognition by four NATO member states could impede its accession. Moldova does not currently have plans to join NATO. It has participated in the Partnership for Peace programme and the Individual Partnership Action Plan. The former communist government was seen as more allied with Russia and is already a member of the Commonwealth of Independent States. In April 2009 Moldova announced it would not participate in the June NATO military exercises. The new ruling party, the Alliance for European Integration, elected in the Moldovan parliamentary election, July 2009, has declined to so far take any action to either move it toward membership, or withdraw from the Commonwealth of Independent States, and denies plans to do either. Moldova also has an ongoing internal conflict with the territory of Transnistria. In April 2009, the Polish Foreign Minister, Radosław Sikorski, suggested including Russia in NATO. In March 2010 this suggestion was repeated in an open letter co-written by German defense experts General Klaus Naumann, Frank Elbe, Ulrich Weisser, and former German Defense Minister Volker Rühe. In the letter it was suggested that Russia was needed in the wake of an emerging multi-polar world in order for NATO to counterbalance emerging Asian powers. However Russian leadership has made it clear that Russia does not plan to join the alliance, preferring to keep cooperation on a lower level. The Russian envoy to NATO, Dmitry Rogozin, is quoted as saying "Great powers don't join coalitions, they create coalitions. Russia considers itself a great power," although he said that Russia did not rule out membership at some point in the future. Serbia originally determined in 2005, as Serbia and Montenegro, to join NATO. The subsequent independence of Montenegro and Kosovo have strained relations between Serbia and NATO. Serbia however joined the Partnership for Peace programme during the 2006 Riga Summit. While this programme is sometimes the first step towards full NATO membership, it is uncertain whether Serbia perceives it as signaling an intent to join the alliance. NATO historically fought Bosnian-Serbian forces during the Bosnia war and Serbia during the 1999 Kosovo conflict. Following NATO's open support to Kosovo's declaration of independence in January 2008, support for NATO integration greatly dropped. An earlier poll in September 2007 had showed that 28% of Serbian citizens supported NATO membership, with 58% supporting the Partnership for Peace. The only political parties which currently support NATO integration are the minor opposition Liberal Democratic Party and Serbian Renewal Movement. The Democratic Party abandoned its pro-NATO attitude, claiming the Partnership for Peace is enough. Although current Serbian priorities do not include NATO membership, the Alliance has offered Serbia an invitation to enter the intensified dialogue programme whenever the country is ready. On 1 October 2008, Serbian Defence Minister Dragan Šutanovac signed the Information Exchange Agreement with the NATO, one of the prerequisites for fuller membership in the Partnership for Peace programme. In 1949 Sweden chose not to join NATO and declared a security policy aiming for non-alignment in peace and neutrality in war. A modified version now qualifies non-alignment in peace for possible neutrality in war. As such, the Swedish government decided not to participate in the membership of NATO because they wanted to remain neutral in a potential war. This position was maintained without much discussion during the Cold War. Since the 1990s however there has been an active debate in Sweden on the question of NATO membership in the post–Cold War world. Sweden joined Partnership for Peace in 1994. These ideological divides were visible again in November 2006 when Sweden could either buy two new transport planes or join NATO's plane pool, and in December 2006, when Sweden was invited to join the NATO Response Force. While the governing parties in Sweden have opposed membership, they have participated in NATO-led missions in Bosnia (IFOR and SFOR), Kosovo (KFOR), Afghanistan (ISAF) and Libya (Operation Unified Protector). The Swedish left bloc, including the Social Democratic party, the Green party and the Left party have remained in favor of non-alignment. The Alliance, including the Moderate Party, the Centre party, the conservative Christian Democrats as well as the Liberal party make up the Swedish parties with representation in the parliament today that are in favor of NATO membership. Prime Minister Fredrik Reinfeldt stated on 18 September 2007 that Swedish membership in NATO would require a "very wide" majority in Parliament, including the social democrats, and coordination with Finland. In September 2014, Sweden signed a host country agreement with NATO allowing for NATO forces to conduct joint training exercises on Swedish soil and for NATO member states' forces to be deployed in Sweden in response to threats to Sweden's national security. In October 2014, an opinion poll found for the first time more Swedes in favor of NATO membership (37%) than opposed (36%). If the situation in and around the Baltic countries escalates, Swedish NATO membership, possibly together with Finland, will ease NATO intervention in the region. NATO reported in 2015 that Russia simulated a nuclear attack on Sweden in 2013. The Swedish government questioned Sweden's neutral status after the Russian intervention in Ukraine. Russian foreign minister Sergey Lavrov threatened in 2016 to "take necessary measures" to prevent Swedish NATO membership. According to a poll conducted by Sifo in June 2016, more Swedes are against a Swedish NATO membership than in favour of one. A government-sponsored report on the future of Sweden's NATO membership was released in September 2016. At the beginning of 2008, the Ukrainian President, Prime Minister and head of parliament sent an official letter to apply for the Membership Action Plan. The idea of Ukrainian membership in NATO has gained support from a number of NATO leaders. At the 2008 Bucharest summit, NATO Secretary General Jaap de Hoop Scheffer declared in a press conference that Georgia and Ukraine will join NATO. Within the NATO-Ukraine working commission, NATO officials reassured Ukraine officials that they are willing to invite their country to join the Alliance. The Deputy Foreign Minister of Russia, Alexander Grushko, announced that NATO membership for Ukraine was not in Russia's best interests and wouldn't help the relations of the two countries. According to numerous independent polls conducted between 2002 and the events of 2014, Ukrainian public opinion on NATO membership was split, with the majority of those polled against joining the military alliance and many identifying it as a threat. According to the FOM-Ukraine pollster, as of April 2009, 57% of Ukrainians polled were against joining the alliance, while 21% were in favor. A Gallup poll conducted in October 2008 showed that 45% associated NATO as a threat to their country, while only 15% associated it with protection. Ukrainian politicians such as Yuriy Yekhanurov and Yulia Tymoshenko stated Ukraine would not join NATO as long as the public continued opposing the move. In 2008 the Ukrainian government started an information campaign, aimed at informing the Ukrainian people about the consequences of membership. The 2010 election returned Viktor Yanukovych as Ukrainian President and marked a turnaround in Ukraine's relations with NATO. In February 2010, he stated that Ukraine's relations with NATO were currently "well-defined", and that there was "no question of Ukraine joining NATO". He said the issue of Ukrainian membership of NATO might "emerge at some point, but we will not see it in the immediate future." While visiting Brussels in March 2010, he further stated that there would be no change to Ukraine's status as a member of the alliance's outreach program. He later reiterated during a trip to Moscow that Ukraine would remain a "European, non-aligned state." Then, on 3 June 2010 the Ukrainian parliament voted to exclude the goal of "integration into Euro-Atlantic security and NATO membership" from the country's national security strategy in a bill drafted by Yanukovych himself. Amid the Euromaidan unrest, Yanukovych fled Ukraine in February 2014. The interim Yatsenyuk Government which came to power, initially said, with reference to the country's non-aligned status, that it had no plans to join NATO. However, following the Russian military intervention in Ukraine and parliamentary elections in October 2014, the new government made joining NATO a priority. On 23 December 2014, the Ukrainian parliament renounced Ukraine's non-aligned status that "proved to be ineffective in guaranteeing Ukraine's security and protecting the country from external aggression and pressure". Ukraine and NATO have since held joint seminars and joint tactical and strategical exercises and operations. Since the start of the 2014 Russian military intervention in Ukraine, public support for Ukrainian membership in NATO has risen greatly. Since June 2014 polls show that about 50% of those asked voice support for Ukrainian membership. In 2006, the then United States Ambassador to NATO Ivo H. Daalder together with James Goldgeier conceived the term "Global NATO". Subsequently, ideas for membership of various states were floated: Brazil, South Africa, Singapore, India, Israel, and most frequently of Australia, Japan, South Korea, New Zealand and Colombia. The idea is to transform the Cold War institution into a "Global alliance of democracies". The issue of Australia NATO membership is often brought forward. Australia is even referred to as a "de facto member of NATO". Australia is referred to by NATO as one of their "partners across the globe", agreeing to work on crisis and conflict management, post-conflict situations, reconstruction and facilitating humanitarian assistance and disaster relief. NATO and Australia signed a joint political declaration in June 2012 followed by a signature of an Individual Partnership and Cooperation Programme in February of the next year. General Knud Bartels, Chairman of the NATO Military Committee at the time, stressed the need for "substantial and practical cooperation, to learn from each other, share best practices and develop common standards because NATO and Australia have a strong partnership and are committed to enhancing their abilities of working together in order to better tackle future global challenges". Colombia is NATO's latest partner and Colombia has access to the full range of cooperative activities NATO offers to partners. NATO and Colombia have concluded a partnership agreement with a view to strengthening dialogue and cooperation to address shared security challenges. A close strategic ally and trade partner of NATO members the U.S. and Spain, Colombia has been a strong supporter of NATO and its actions. In 2009, the Colombian Government asked to be part of the ISAF and work with the Spanish contingent in mine detection operations, but this didn't materialize due to the internal conflict that Colombia faced. In March 2011, Colombia voted in favor of United Nations Security Council Resolution 1973, thus officially allowing for NATO military intervention in the Libyan Civil War. In April 2012, Colombia was amended into the NATO ATP-56(B) which gave Colombia "associate" status and to re-establish air-to-air fueling capabilities with NATO member countries. On 4 June 2013, Colombian President Juan Manuel Santos announced that Colombia will be signing a Cooperation Agreement with NATO in hopes of eventually joining the military alliance. Santos also stated that: "If we can achieve peace, the army will be in a place where it will be able to distinguish itself internationally as well. We are already doing it on many fronts." In response, the U.S. government noted, "Our goal is certainly to support Colombia as being a capable and strong member of lots of different international organizations, and that might well include NATO. Ultimately this is a decision that all of the NATO members would have to make." However, on the same day, a Colombian and NATO official both objected to NATO membership for Colombia. Defense Minister Juan Carlos Pinzon stated his country merely wished to sign a cooperation deal with NATO, and a NATO official noted that, "There is no immediate plan for establishing a formal partnership between the alliance and Colombia, but we are exploring the possibility of carrying out specific activities together...and we are currently developing a security of information agreement which would allow the exchange of classified information between the alliance and Colombia." In September 2011, The NATO alliance invited India to be a partner in its ballistic missile defence (BMD). According to the reports a top NATO official stated addressing Indian representatives, "You have a missile threat that confronts you. We have a missile threat that confronts us. It's a different one, but our ability to defend against it could be the same. We have cooperation on those kind of issues. [..]Democracies face challenges that are common. We need to work together and resolve. We need to cooperate, because individually we cannot deal with such threats. It is better to deal with such issues commonly than deal with them individually" V. K Saraswat, the architect of Indian BMD program, subsequently informed, "We are analysing the report. It is under consideration." Then-U.S. NATO Ambassador Ivo H. Daalder has suggested that India should turn away from its non-aligned role and join NATO. A Voice of Russia analysis quoted Robert Pshel, head of NATO's Information Office in Moscow as saying "I agree with Mr Daalder that many modern threats are global, and tackling them without emerging powers like India is hardly possible." Daalder further stated, "The dialogue should be on how India's concept of its own security and of international security fits in with NATO's concept of international security and how NATO as an actor and India as a country can work together to promote security." The United States and India have already studied the possibility of a joint missile defence system, although former Defence Secretary Robert Gates stated that "talks were only in their early stages." Boris Volkonsky of the Russian Strategic Research Institute was quoted as saying, "an ally like India would strengthen Washington's hand in South and Southwest Asia and other world areas." A Voice of Russia analysis speculated on an additional, ulterior motive from a shared Indian and American fear of the "rising dragon of China". And while most members of the Indian strategic community readily admit that NATO's Afghanistan mission coincides with India's own strategic interest in stabilising that country, they do not necessarily conclude from this that India and NATO should develop closer cooperation. It is believed that many Indian analysts harbour doubts about the possible implications for their country's international position should it develop closer ties with NATO. In a report published by NATO review it said, "The choice should be clear: exploiting NATO's potential as a forum for consultation and cooperation is a 'win-win' situation, both for India and for the Alliance." Cooperation between Japan and NATO began in 1990, and Japan was one of the first "partners across the globe" when the relationship became more formalized. Japan deepened their relationship in April 2013 with a joint political declaration, and in May 2014 signed accords relating to counter-terrorism and counter-piracy efforts. Japan has also been involved in the NATO-led International Security Assistance Force in Afghanistan and with stabilization efforts in the Balkans during the 1990s. The NATO–Mongolia Individual Partnership and Cooperation Programme was approved on 19 March 2012. It is the first application of the new policy for flexible partnerships with global partners. In 2001, NATO and New Zealand signalled their commitment to strengthen cooperation with the joint signature of an Individual Partnership and Cooperation Programme in June 2012. New Zealand has made valuable contributions to NATO-led efforts in Afghanistan, first as part of the International Security Assistance Force and now under the new mission (known as "Resolute Support") to train, advise and assist the Afghan security forces and institutions. ^ "Russia, NATO stage rival air-combat exercises". The Seattle Times. 25 May 2015. Retrieved 20 May 2016. ^ "Armenia-NATO Partnership Plan corresponds to interests of both parties". PanARMENIAN.Net. Retrieved 20 May 2016. ^ "Armenia Says NATO Support For Azerbaijan Prompted Pullout". RadioFreeEurope/RadioLiberty. Retrieved 20 May 2016. ^ "Azerbaijan: Baku Can Leapfrog over Ukraine, Georgia for NATO Membership -- Source". EurasiaNet.org. Retrieved 20 May 2016. ^ "Cypriot parliament votes to join NATO's Partnership for Peace". SETimes. 2011-02-25. Retrieved 2012-07-19. ^ "Cyprus - Vouli Antiprosopon (House of Representatives)". Inter-Parliamentary Union. Retrieved 2013-02-24. ^ Dempsey, Judy (2012-11-24). "Between the European Union and NATO, Many Walls". New York Times. Retrieved 2012-07-19. ^ Kambas, Michele; Babington, Deepa (2013-02-24). "Cypriot conservative romps to presidential victory". Reuters. Retrieved 2013-02-24. ^ "Clear majority of Finns still opposed to NATO membership". Helsingin Sanomat. 28 February 2005. Retrieved 20 September 2008. ^ a b Bult, Jeroen (3 March 2006). "Finland Debates Its Ties With NATO". Worldpress. Retrieved 20 September 2008. ^ Rettman, Andrew (26 April 2007). "Finland waits for new EU treaty before NATO membership review". EUobserver. Retrieved 20 September 2008. ^ "Former President Ahtisaari: NATO membership would put an end to Finlandisation murmurs". Helsingin Sanomat. 15 December 2003. Archived from the original on 5 December 2008. Retrieved 20 September 2008. ^ Jakobson, Max (20 January 2004). "Finland, NATO, and Russia". Helsingin Sanomat. Archived from the original on 5 December 2008. Retrieved 20 September 2008. ^ "404 Error Page" (PDF). Retrieved 20 May 2016. ^ The Christian Science Monitor (15 October 2014). "Could Putin's Russia push neutral Finland into NATO's arms?". The Christian Science Monitor. Retrieved 20 May 2016. ^ "NATO fighter jets join nordic countries in Arctic military exercise; 2-week Arctic Challenge Exercise started Monday in Norway, Finland and Sweden". CBC.ca. 25 May 2015. Retrieved 28 May 2015 – via The Associated Press. ^ "NATO's 'neutral' European partners: valuable contributors or free riders?". NATO Review Magazine. Retrieved 15 July 2015. ^ "Defence Questions: Irish cooperation with NATO in Ukraine". Eoghan Murphy TD. Retrieved 15 July 2015. ^ "Ireland: dealing with NATO and neutrality". NATO Review Magazine. Retrieved 15 July 2015. ^ Lee, Dorcha (18 September 2014). "Time to adjust the peacekeeping triple lock". The Irish Times. Retrieved 15 July 2015. ^ "Current Missions ISAF". Defence Forces Ireland. Archived from the original on 16 July 2015. Retrieved 15 July 2015. ^ "Current Missions > KFOR". Defence Forces Ireland. Retrieved 15 July 2015. ^ O'Carroll, Sinead (13 February 2013). "Poll: Should Ireland give up its neutrality?". thejournal.ie. Retrieved 15 July 2015. ^ McCullagh, David (19 May 2015). "David McCullagh blogs on Ireland's defence policy". RTÉ Prime Time. Retrieved 18 July 2015. ^ Roche, Barry (30 August 2014). "Ireland should change position on military neutrality, says academic". The Irish Times. Retrieved 15 July 2015. ^ "Challenges and opportunities abroad: White paper on foreign policy" (PDF). Department of Foreign Affairs and Trade Ireland. Retrieved 15 July 2015. ^ Lynch, Suzanne (11 February 2013). "Door is open for Ireland to join Nato, says military alliance's chief". The Irish Times. Retrieved 15 July 2015. ^ "Kosovo seeks to join international organisations". Turkish Weekly. 2012-07-19. Archived from the original on 2012-07-25. Retrieved 2012-07-19. ^ "Russia expels Canadian diplomats". BBC News. 6 May 2009. Retrieved 2 May 2010. ^ "Moldova's acting president denies that Moldova plans to leave CIS, enter NATO". Kyiv Post. 16 September 2009. Retrieved 17 September 2009. ^ "Russia does not rule out future NATO membership". EUobserver. Retrieved 1 May 2009. ^ "Military independence is not isolation". B92 (in Serbian). 6 October 2007. Retrieved 20 September 2008. ^ "Serbians Yearn for EU, Reject Joining NATO". Angus Reid Global Monitor. 25 December 2007. Archived from the original on 5 December 2008. Retrieved 20 September 2008. ^ "NATO offers "intensified dialogue" to Serbia". B92. 3 April 2008. Archived from the original on 11 June 2008. Retrieved 20 September 2008. ^ "Serbia signs information exchange agreement with NATO". Southeast European Times. 1 October 2008. Retrieved 3 October 2008. ^ "Signatures of Partnership for Peace Framework Document". NATO. Retrieved 20 February 2017. ^ "Sweden 'should join NATO plane pool'". The Local. 11 November 2006. Retrieved 20 September 2008. ^ "Sweden could join new NATO force". The Local. 2 December 2006. Retrieved 20 September 2008. ^ "IFOR/SFOR – Bosnien". mil.se. 3 November 2008. Archived from the original on 19 January 2010. Retrieved 13 February 2010. ^ "Om insatsen i Kosovo". mil.se. 29 October 2009. Archived from the original on 4 March 2010. Retrieved 13 February 2010. ^ "Om insatsen i Afghanistan". mil.se. 22 September 2009. Archived from the original on 11 February 2010. Retrieved 13 February 2010. ^ "Nato". Centerpartiet (in Swedish). 2006. Archived from the original on October 16, 2007. Retrieved 20 September 2008. ^ "NATO". Socialdemokraterna (in Swedish). 2008. Archived from the original on 9 September 2012. Retrieved 20 September 2008. ^ "Vill moderaterna att Sverige ska gå med i NATO?". Moderaterna (in Swedish). Archived from the original on 29 September 2006. Retrieved 20 September 2008. ^ "Sverige i världen". Folkpartiet (in Swedish). Retrieved 20 September 2008. ^ Jonsson, Gunnar (18 September 2007). "Riksdagsåret inleds idag". Dagens Nyheter (in Swedish). Retrieved 20 September 2008. ^ "Swedish Agreement With NATO Under Fire". The Epoch Times. 12 October 2014. Retrieved 20 May 2016. ^ "Swedes lean towards Nato membership, poll shows". Financial Times. Retrieved 20 May 2016. ^ ""Nordic duo should stay together" -- study on NATO membership published in Finland". NATO Review. Retrieved 20 February 2017. ^ Oliphant, Roland (4 February 2016). "Russia 'simulated a nuclear strike' against Sweden, Nato admits". The Telegraph. Retrieved 20 February 2017. ^ Braw, Elisabeth (10 May 2016). "Sweden urged to boost alliances but avoid NATO". Politico. Retrieved 20 February 2017. ^ "Swedes have a change of heart on Nato once more". The Local. 7 July 2016. Retrieved 20 February 2017. ^ "Mixed reactions on possible NATO membership report". Radio Sweden. 2 September 2016. Retrieved 20 February 2017. ^ Ďurianová, Marta (20 March 2006). "President Gašparovič meets Ukrainian Foreign Affairs Minister". The Slovak Spectator. Archived from the original on 12 October 2007. Retrieved 20 September 2008. ^ "News of Ukraine :: Interfax – Ukraine". Archived from the original on 2007-02-09. ^ a b Khrestin, Igor (18 August 2008). "Politics as usual". UNIAN. Retrieved 20 September 2008. ^ "Ukraine will not join NATO without referendum". GlobalSecurity. 5 (173). 19 January 2008. Retrieved 20 September 2008. ^ "Itar-Tass". Archived from the original on 2010-10-11. ^ "Ukraine drops Nato membership pursuit". The Daily Telegraph. UK. 28 May 2010. Retrieved 7 June 2010. ^ "New Ukraine Coalition Agreed, Sets NATO As Priority". Radio Free Europe/Radio Liberty. 2014-11-22. Retrieved 2014-11-22. ^ Spotlight: Scrapping non-aligned status paves Ukraine's way to NATO, fuels Russia's wrath. Xinhua News Agency. Published on 2014-12-24. Thys, John (22 February 2013). "Ukraine Joins NATO's Counter-Piracy Operation". RIA Novosti. Retrieved 26 April 2013. ^ a b c "NATO: the Australian experience". ABC News. Retrieved 20 May 2016. ^ "Foreign Affairs" – via www.foreignaffairs.com. ^ a b "Australia and NATO: A deeper relationship?". Retrieved 20 May 2016. ^ "US turns the screws on NATO, lauds its ally Australia". The Sydney Morning Herald. Retrieved 20 May 2016. ^ "NATO enlargement needs US and Australian leadership". On Line Opinion. Retrieved 20 May 2016. ^ "Relations with Australia". North Atlantic Treaty Organisation. 17 January 2017. Archived from the original on 6 June 2017. Retrieved 6 June 2017. ^ "Colombia to send 50 soldiers to Afghanistan". 28 May 2010. ^ "Security Council Approves 'No-Fly Zone' over Libya, Authorizing 'All Necessary". Retrieved 20 May 2016. ^ "Por Primera Vez, la Fuerza Aérea Colombiana reabastece en vuelo a los F-18 Canadienses". Retrieved 20 May 2016. ^ "Colombia heads toward NATO membership". InterAksyon.com. Archived from the original on 13 March 2016. Retrieved 20 May 2016. ^ "Colombia Minister Says No to NATO Membership". Fox News. Associated Press. 4 June 2014. Retrieved 25 June 2014. ^ "NATO Rules Out Colombia Membership". DefenseNews. ^ a b PTI (4 September 2011). "NATO offers missile defence cooperation to India". The Hindu. Retrieved 15 March 2012. ^ a b T.S. Subramanian (7 October 2011). "India studying NATO offer on joining missile programme". The Hindu. Retrieved 15 March 2012. ^ a b c d Akhtar Jamal. "India may agree to deploy NATO missile system". The Pak Observer. Archived from the original on 2014-08-08. Retrieved 2017-05-21. ^ "NATO woos India, says ties important to ensure global safety and security". Jagran Post. 2 September 2011. Retrieved 25 June 2012. ^ "India and NATO: size no problem". NATO Review. Retrieved 25 June 2012. ^ "NATO's relations with Contact Countries". 9 April 2009. Retrieved 7 May 2014. ^ Croft, Adrian (6 May 2014). "Japan, worried about China, strengthens ties with NATO". Retrieved 7 May 2014. ^ "NATO cooperation with Japan". NATO. 22 April 2013. Retrieved 7 May 2014. ^ "NATO and Mongolia agree programme of cooperation" (Press release). NATO. 19 March 2012. Retrieved 20 May 2016. ^ "Finally a New Era in NATO-Mongolia Relations" (PDF). Archived from the original (PDF) on 2012-11-15. ^ Tatlow, Didi Kirsten (May 19, 2012). "Mongolia Wrestles with Dinosaurs, NATO and Politics". IHT Rendezvous (blog). The New York Times. Retrieved 22 May 2017. 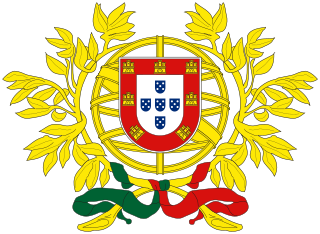 Foreign relations of Portugal are linked with its historical role as a major player in the Age of Discovery and the holder of the now defunct Portuguese Empire.Portugal is a European Union member country and a founding member of NATO. It is a committed proponent of European integration and transatlantic relations. Augusto Santos Silva is the current Minister of Foreign Affairs of Portugal. Individual Partnership Action Plans (IPAP) are plans developed between NATO and different countries which outline the objectives and the communication framework for dialogue and cooperation between both parties. NATO launched the IPAPs initiative at the 2002 Prague Summit. Ireland and the North Atlantic Treaty Organization have had a formal relationship since 1999, when Ireland joined as a member of the NATO Partnership for Peace (PfP) programme and signed up to NATO's Euro-Atlantic Partnership Council (EAPC). To date, Ireland has not sought to join as a full NATO member due to its traditional policy of military neutrality.